If you are a Drexel student, you MUST log in using your Main Drexel username (e.g. abc123) and password. Drexel Applicants, use Main Drexel Account Secure Login. 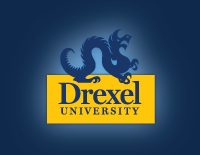 Drexel University students use their Main Drexel (Drexel domain) user id and password. New non-Drexel Applicants, click on Programs, find a program and click on "Apply Now" before requesting a login.